COLES HAS GROWN TREMENDOUSLY ALONG WITH SAN DIEGO COUNTY. Having passed our 70th Anniversary, we hope to serve you for 70 more years! A Look Back to 1997. Hubert Coles, the founder of the Coles Fine Flooring family business, talks about the start of the company and celebrating the 50th Anniversary. Hubert Coles graduates Santa Clara University and joins his father’s fine furniture business in Arizona, later sold to Spiegel of Chicago. Hubert Coles is discharged from the Navy where he served as a hospital corpsman and stays in San Diego. GRAND OPENING of Coles of La Jolla Complete Home Furnishings. Quickly becomes known as one of San Diego’s finest furniture, flooring and accessories destinations. Also provides bridal services in silver, fine china, wall hangings, etc. 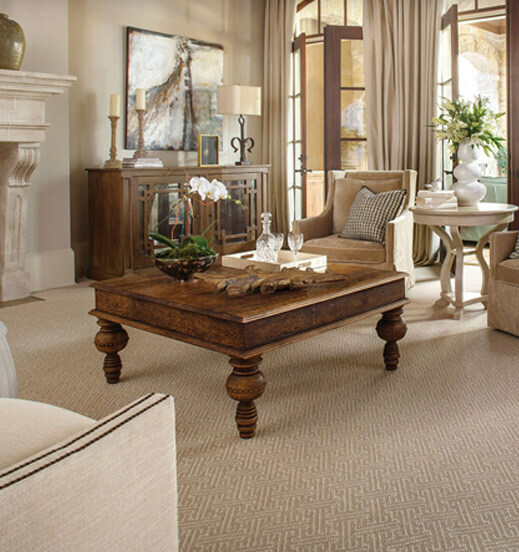 Coles of La Jolla moves to San Diego doing business as Coles Carpets, specializing in floor coverings and draperies. Starting with 10,000 sq. ft., the company grew to its current 40,000 sq. ft. flooring superstore on West Morena Blvd. Mr. Coles sons George Coles and Steve Coles join the firm and quickly help to grow the business through high profile television advertising and impeccable customer service. Branch store opened in San Marcos to serve the growing North County. Started near dairy farms and open land on Los Vallecitos, this bold move pioneered what is now a flourishing Home Furnishings Center. The Coles family build and occupy it’s 20,000 square foot San Marcos warehouse and superstore showroom at 2175 Montiel Road to permanently serve the North County. Coles launches what is regarded as one of the boldest moves in the floor covering industry, it’s “ONE YEAR SATISFACTION GUARANTEE”, to reflect their commitment to impeccable customer service. Still stands as the strongest retailer guarantee in the industry. Coles opens a new store in El Cajon to serve the East County. Set decorator Michael Forest chooses Coles as supplier for flooring for the movie Titanic. Working with Chris Coles, Forest bought more than $30,000 worth of carpet for the film, which was filmed in Rosarito, Baja California, Mexico. The Titanic crew chose Coles because, among other things, it is the only store in the area with enough stock on hand to accommodate such a large production. Coles Carpets celebrates their 50th Anniversary as one of only a handful of family owned and operated companies still in existence in San Diego since the era just after World War II. Coles Carpets becomes Coles Carpets and Fine Flooring to clarify their long term commitment to all areas of flooring, including Hardwood, Laminates, Ceramic Tile, Area Rugs, Vinyl and fine imported Oriental Rugs. Although Coles Carpets always provided the best expertise in all areas of flooring and window treatments, the name change was intended to solidify their position as the leader in all types of floor coverings. Coles expands to serve military buyers, and opens a new branch at the Miramar Air Station. Coles opens their second military location at MCRD. Coles Carpets and Fine Flooring opens a new location at 320 South Cedros Avenue in Solana Beach, in the Cedros Design District. This new location serves the Designer community and provides a flooring design center open to the public. Coles opens their newest and north-most branch in Camp Pendleton. Founder Hubert Coles passes away, leaving behind a legacy of flooring excellence to his sons George (President) and Steve (Vice President), and his daughters Chris Coles (Sales and Design) and Janie Kuczwara (Purchasing). Coles celebrates 60 years of legendary service in San Diego. Coles opens new Military location at NEX 32nd St.
George Coles retires after over 40 years as President of the company, passing the torch to younger brother, Steve Coles. Coles opens new state of the art showroom in Santee. Coles opens the Kitchen and Bath Design Center in Morena Blvd location taking your dream kitchen or bath from concept to completion. The Coles family continues to own and operate the business with a continuing commitment to impeccable customer service and active participation in community service. For all your flooring needs, Coles is your only choice.